The new improved Char-Lynn S Series motors with optimised Geroler geometry offers enhanced performance with reduced drive-running angle while retaining the overall package size of the original S Series motors. Design improvements include upgraded steel end cap, o-ring section seals, and optimised Geroler set. The Geroler set has precision machined rollers in the outer ring which provide support with rolling contact between the star and ring. This improves mechanical efficiency, especially at start up and at low speed conditions. Improvements incorporated into the latest S Series motors provide reliable leak free performance and smooth performance at start up conditions. string(44) "4 Bolt Square Mount, 1" Straight Keyed Shaft"
string(678) "The new improved Char-Lynn S Series motors with optimised Geroler geometry offers enhanced performance with reduced drive-running angle while retaining the overall package size of the original S Series motors. 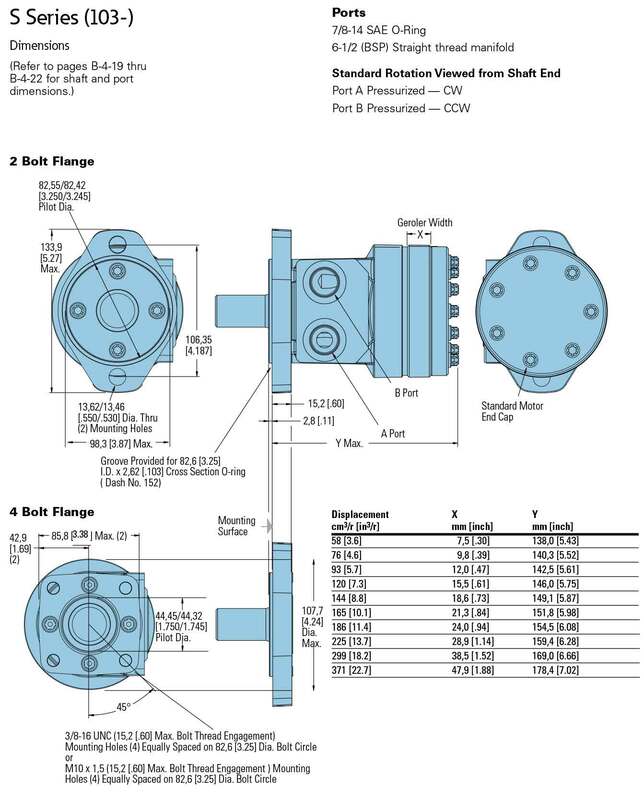 Design improvements include upgraded steel end cap, o-ring section seals, and optimised Geroler set. The Geroler set has precision machined rollers in the outer ring which provide support with rolling contact between the star and ring. This improves mechanical efficiency, especially at start up and at low speed conditions. 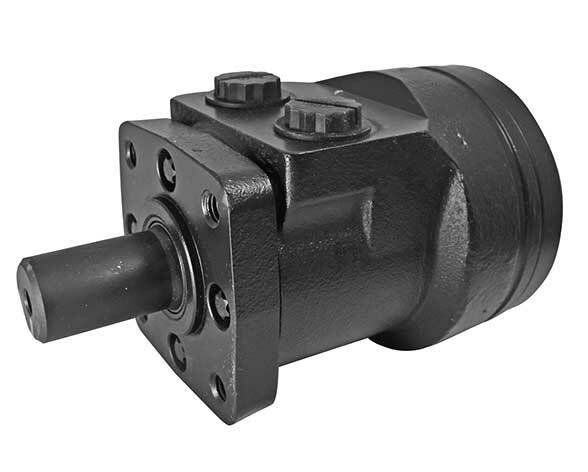 Improvements incorporated into the latest S Series motors provide reliable leak free performance and smooth performance at start up conditions."